Anyone can publish a book and become an “author,” but if you want to become a successful author with a profitable publishing career, you need a clear, step-by-step guide to help you develop book ideas that sell. In The Author Training Manual, expert editor and book coach Nina Amir reveals the exact process successful authors have used to create business plans and proposals for their books and teaches you how to view your ideas through the eyes of acquisition editors and literary agents. 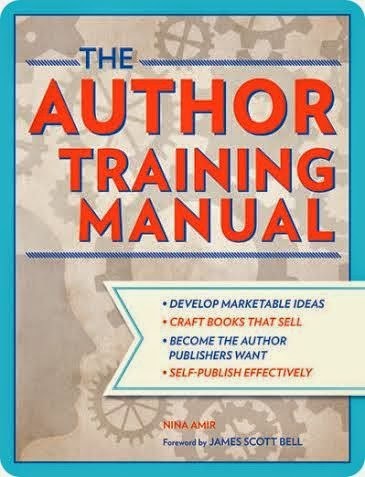 Whether you write fiction or nonfiction, plan to traditionally publish or self-publish, The Author Training Manual provides you with the tools you need to achieve your goals and become the author publishers and readers want. Inside you’ll find concrete steps, evaluations, sample business plans, in-depth training activities, editor and agent commentaries, and much more – all designed to help you stand out, from the slush pile to the shelf. Millions of aspiring authors around the world dream of self-publishing or traditionally publishing a successful book. If you’ve picked up this book, you likely share that dream. Today, almost any writer can change his or her status from aspiring to published author. More ways exist to self-publish a book than ever before, which means you have many options should you choose to go that route. You’ll find it harder to change your status from aspiring to published author if you want to be traditionally published, but it’s not impossible. You just need to convince a publishing company to produce your book for you by following the steps presented in this book. No matter which path to publication you choose, the most difficult task before you involves creating a book that sells. According to Publishers Weekly, the average book sells three thousand copies in its lifetime—not per year. The publishing industry deems a book “success- ful” when it sells large numbers of copies—usually many more than three thousand copies per year. Bestsellers, for example, outsell other books in their categories. Since you are reading this book, I’m going to assume from this point forward that you want to produce a book that sells an above-average number of copies per year or reaches bestseller status. That means you want to be a successful author by publishing industry standards, so keep the average books sales noted earlier mind as you work through this process. Many aspiring authors think all they need to produce a successful book is an outstanding idea, a sound story structure, and a well-crafted manuscript. Indeed, these elements sometimes suffice, but more often creating a bestseller or a book with above-average sales involves much more. In particular, it takes a certain type of attitude. I call this an Author Attitude. To develop Author Attitude, you must make yourself aware of the cold, hard facts about the publishing industry. These facts are meant to help you understand the difference between simply becoming an author and succeeding as an author. While the number of books published each year increases—Bowker projected a staggering four thousand books per day were published in 2011—the number of people and publishers who buy them decreases annually. That means the marketplace has become increasingly competitive, making it harder to find readers and publishers. Yet, out of a U.S. population of 317,132,631 people (as of November 2013), 81 percent still want to write a book, according to The New York Times. Many writers produce manuscripts or books only to discover later that their creations aren’t viable. After spending months or years writing and honing their craft, these authors then suffer great heartbreak and disappointment when they discover traditional publishers don’t want to publish their manuscripts or readers don’t want to purchase their self-published books. Maybe the writing isn’t up to par, or the book isn’t unique or helpful to readers; the author might not have a “platform,” promotion plan, or expertise in the subject area, among many other things. Platform is visibility, authority, and engagement with your book’s target audience that gives you influences in that market. Today, many readers simply cannot find most books. Bowker reported that in 2011, three million books were published in the United States. Marketing expert and bestselling author Seth Godin predicted that fifteen million ISBN numbers were purchased in 2012. If all of those ISBN numbers were used, it is possible that at least as many books were published that same year. That’s a lot of books for readers to sift through when deciding to make a purchase. It’s easy for yours to get lost among them all. Not only that, if your book is traditionally published, it stands less than a one percent chance of being stocked in an actual brick-and-mortar bookstore, according to Berrett- Koehler Publishers. Self-published books almost never make it onto bookstore shelves. And if your book is not in brick-and-mortar bookstores, you miss another chance for readers to discover you or your book. Even authors like Godin, with fourteen bestselling books, including Permission Marketing and Tribes, normally get only one or two copies of their books into each physical bookstore. In fact, Godin conducted a record-breaking Kickstarter campaign for his newest book, The Icarus Deception, primarily to prove to publishers that his books should be promoted inside bookstores. Even his publisher needed proof that booksellers should carry large quantities of his books and display them prominently. If a successful author like Godin has trouble getting books into a bookstore, you can imagine how hard this task proves for the average traditionally published author. With these facts in mind, it’s no wonder that along the way some writers discover they aren’t cut out to produce successful books—ones that do sell to lots of readers and to publishers. They might discover this after they’ve self-published or traditionally published their books or maybe while they are trying to publish them (or even while exploring their options). Maybe they are unwilling to learn the necessary tasks, they can’t or don’t want to hire someone to help them do those tasks, or they simply don’t want to compete in the industry or the marketplace. Maybe they have other commitments, like family or a “real” job. So these writers may decide they feel comfortable writing books that sell a below-average number of copies. Others decide the path to publication is just too long and arduous. They leave their dreams of becoming authors behind and choose different paths. They give up. Then there are the aspiring writers left wondering how—despite the above facts, their situations, and the often harsh and competitive publishing industry environment—they can change their status from aspiring to successful published author. They are not put off by the obstacles in the facts presented or by what life has thrown their way. Full of optimism, they cling to something else they have heard: “Now is the best time in history to become an author.” They are willing to do whatever it takes to produce a salable book and to publish and promote it until it sells well. They are determined, persistent, and perseverant. In fact, they have the essential characteristic of successful authors: an Author Attitude. I hope you have it, too. If you aren’t sure whether you have this attitude, no worries. This manual, and the training process it includes, will teach you how to develop an Author Attitude. Of course, some writers have this attitude naturally; most, I believe, have worked at developing it. Jack Canfield and Mark Victor Hansen come to mind. They received over 140 rejections prior to getting Chicken Soup for the Soul accepted by Health Communications. The book has sold over 200 million copies due to the authors’ commitment to promoting the book in every way possible—including sending free copies to the sequestered jurors serving on the nationally broadcast first O.J. Simpson murder trial. The jurors were then pictured on national television carrying the books! The authors promoted the book in five ways every single day after its release. Now that is Author Attitude. 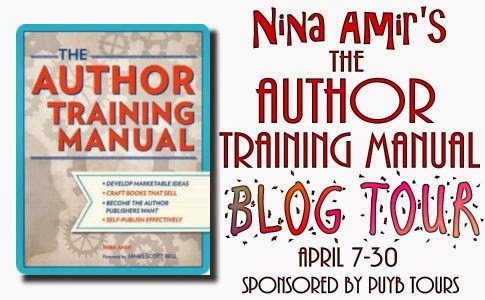 Nina Amir, the Inspiration to Creation Coach and author of How to Blog a Book and The Author Training Manual, transforms writers into authors. She inspires people from all walks of life to create books that positively impact readers and to develop careers as authors, achieve their goals, and fulfill their potential. Nina is a sought-after nonfiction developmental editor, proposal consultant, and author, book, blog-to-book, blog, and results coach. Some of her clients have gone on to sell 300,000+ copies of their books and to land deals with major publishing houses. 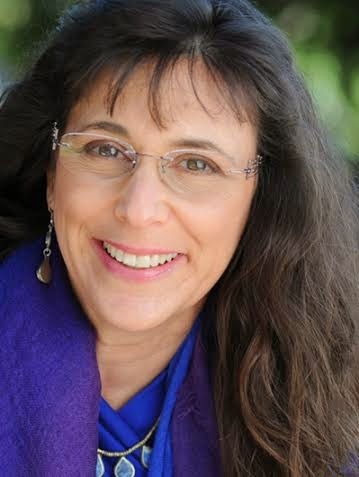 She writes four blogs, has self-published 12 books and is the founder of National Nonfiction Writing Month, aka the Write Nonfiction in November Challenge. You can find all of Nina’s blogs by visiting her main website, www.ninaamir.com. I love books like this! I'll have to check this one out.